"Thanks for contacting us! I'm happy to help. Can you give me a little more information?" 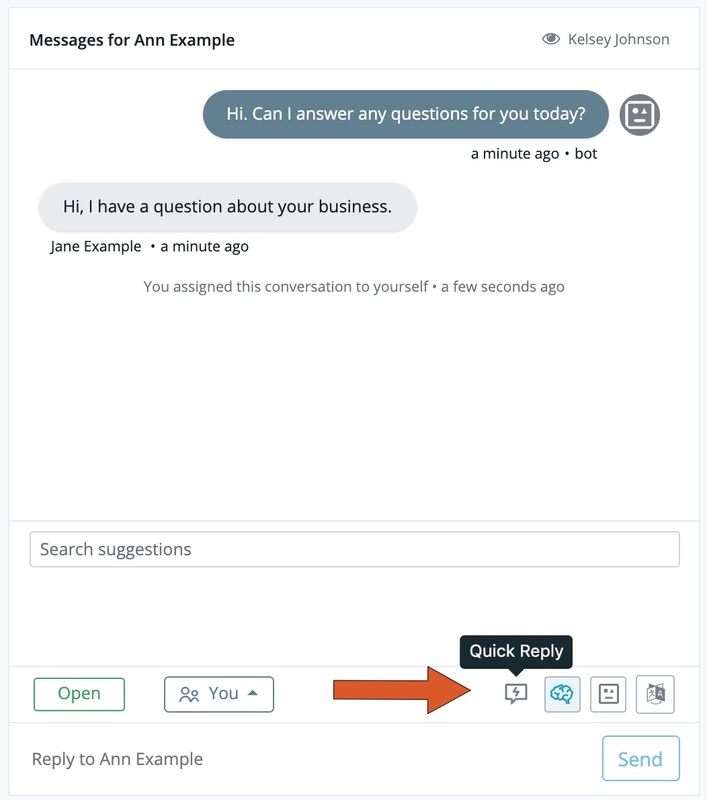 You can politely and quickly respond, letting your web visitor know you are there and working on their question already. 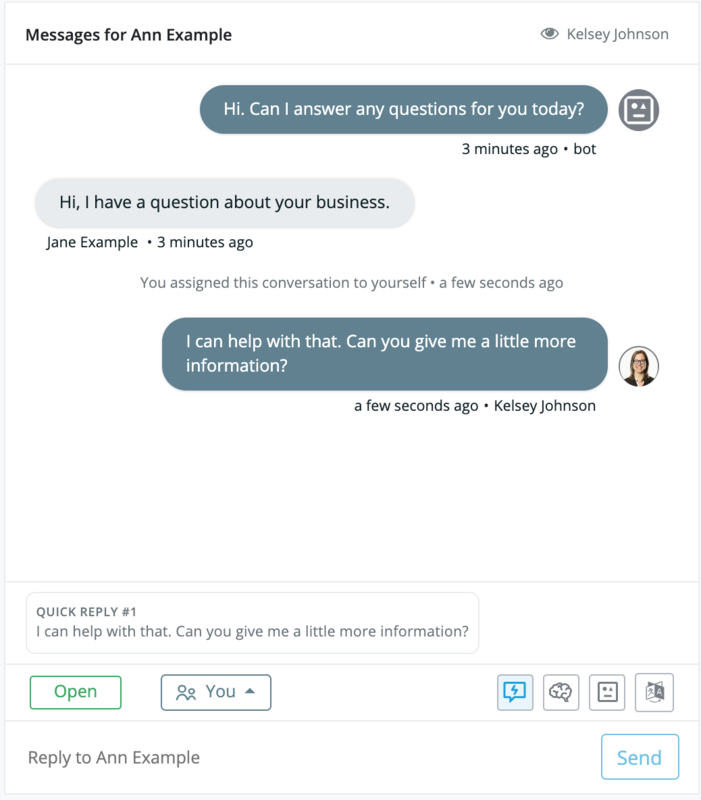 Quick Replies are not automatically sent in all your chat conversations. You choose whether or not to use it depending on the conversation. 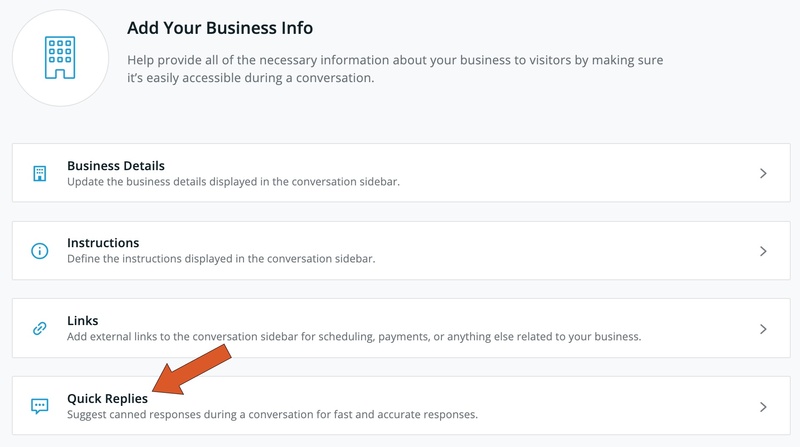 Navigate to Settings > Business Info. Click on "Quick Replies." 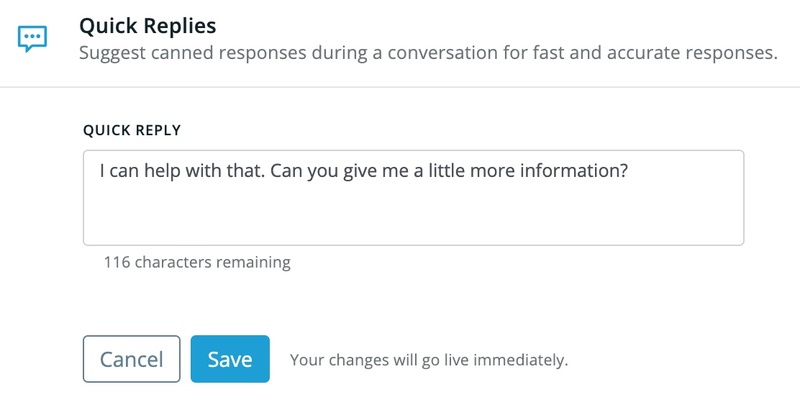 Update the text of your Quick Reply and click save. Click directly on the Quick Reply #1 text then click send.